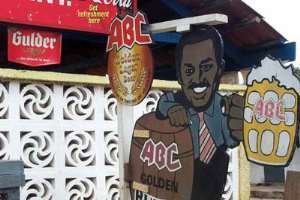 ...severance award to Achimota Brewery laid off workers Accra, Jan. 24, GNA - A Tema High Court has ordered the Divestiture Implementation Committee (DIC) to pay 3.1 billion cedis to 640 workers who have for 13 years been laid off following the divestiture of the Achimota Brewery Company (ABC) in 1992. Ms Barbara Ackah-Yensu, the judge, giving the order said, "It is hereby ordered the Defendants (DIC) are compelled to pay the amount of 3,103,195,155.3 cedis stipulated in the report of consultant/export appointed by DIC as judgement of April 2001 interest is to be calculated from April 30, 1992 to dated of payment." The counsel for the workers, Mr E. K. Jones-Mensah, in affidavit quoting from documents the workers had filed in courts seeking redress that their severance award be paid to them had been unheeded for the past four years. The affidavit said the defendants, the Attorney General and DIC were insensitive to the plight of the workers who have been out of job for over 13 years without any compensation and they had been refused to honour the judgement for over three long years to their detriment.